Why Zacks? Learn to Be a Better Investor. What Is Bank-Owned Life Insurance? BOLI underwrites the cost of certain executive compensation. 1. Do Employees Need to Pay Taxes on Health Insurance Premium Reimbursements? 2. Are Life Insurance Death Benefits Taxed? 3. Do You Have to Claim Life Insurance Cash Disbursement on Taxes? Many financial companies realize the value their executive and senior management contribute to the business’s ongoing profitability and performance. Whether a bank, credit union or brokerage firm has five employees or 55,000 employees, the concerns about business interruptions upon the death of a key employee exist. One way to mitigate this concern is through bank-owned life insurance policies on these key employees. This insurance also allows companies to offset benefits paid to key employees. 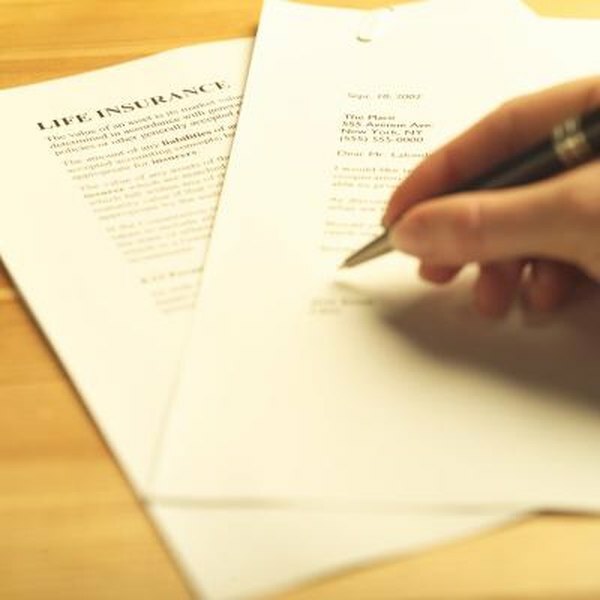 Bank-owned life insurance refers to the whole life or permanent life insurance policies that financial institution employers purchase to insure the lives of key executives and reduce the financial impact of a key executive’s death on the institution. Only financial institutions -- banks, brokerage firms, mortgage lenders, credit unions -- offer bank-owned life insurance. The employee does nothing. The employer does everything -- writes the policy, owns the policy, makes the premium payments and serves as the policy’s beneficiary. BOLI is a company asset, not an employee benefit. However, in rare cases, a company may agree to split the BOLI policy’s death benefits, in a separate agreement called a split agreement, with the key executive’s estate. Although BOLIs operate distinctly apart from any benefit obligation created on behalf of the key executive, a financial institution may use BOLI to offset and recoup all or some of the cost of a key employee’s health and welfare benefits, retirement benefits and supplemental income. Unlike regular life insurance provided for the benefit of the employee, the employer does not pay taxes on bank-owned life insurance. Thus, BOLI helps employers mitigate the increasing costs of employee benefits. One way that executive employees of financial institutions benefit from a BOLI policy is through a supplemental executive retirement plan. Although the use of separate split agreements may be rare, many financial institutions would not offer a SERP without the use of a BOLI to offset its cost. A supplemental executive retirement plan is a deferred compensation agreement in which a financial institution agrees to provide supplemental retirement income to its key executives and their families if the executives meet specific eligibility and vesting conditions. The BOLI’s cash value funds the SERP. Only financial institutions can take advantage of bank-owned life insurance, hence the name. Financial institutions have characteristics that make them very different from non-financial corporations. However, BOLI does have a sister offering with different rules and requirements: corporate-owned life insurance, which non-financial companies may utilize to cover their key executives. Tiffany C. Wright has been writing since 2007. She is a business owner, interim CEO and author of "Solving the Capital Equation: Financing Solutions for Small Businesses." Wright has helped companies obtain more than $31 million in financing. She holds a master's degree in finance and entrepreneurial management from the Wharton School of the University of Pennsylvania. What Is a Participating Annuity Contract? Each week, Zack's e-newsletter will address topics such as retirement, savings, loans, mortgages, tax and investment strategies, and more. Is My Life Insurance Policy Premium Tax Deductible? At the center of everything we do is a strong commitment to independent research and sharing its profitable discoveries with investors. This dedication to giving investors a trading advantage led to the creation of our proven Zacks Rank stock-rating system. Since 1986 it has nearly tripled the S&P 500 with an average gain of +26% per year. These returns cover a period from 1986-2011 and were examined and attested by Baker Tilly, an independent accounting firm.